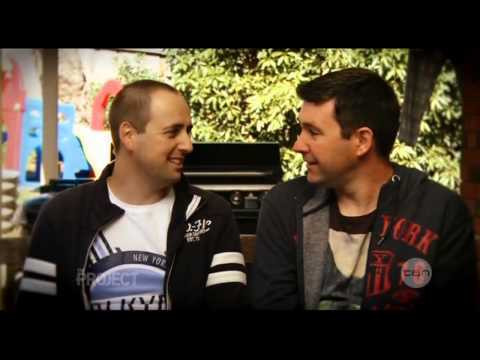 TackleNappy is the creation of two Melbourne dads, Chubba and Bucky, who decided there simply wasn't enough information about parenting relevant to Australian dads on the internet. A highlight of TackleNappy is the TackleNappy Dad of the Year award. Nominations open mid-year with the winner being announced on Father's Day. To help further broadcast their message that Australian dads do a great job, the guys took up an offer from Funky Kids Radio, and established the Weekly TackleNappy Radio show. On becoming parents, Chubba and Bucky realised that quality parenting resources targeted at men were scarce. Sure there was the odd good book here and there but that's about it. We found that our conversation quickly turned from footy to parenting, and we commonly spoke about our fathers and how tough it must have been for them as first time dads. With TackleNappy we aim to create a hub for dads, a comfort zone where first time and accomplished dads can find real parenting stories written by blokes just like them. We encourage Aussie dads to share their stories and become a part of TackleNappy, to make it their own. Join us, TackleNappy is for you. Contact TackleNappy for a media kit.